In just under 20 years, Los Sueños Marina has turned from an impossible dream into one of the world’s best-known charter sportfishing marinas. 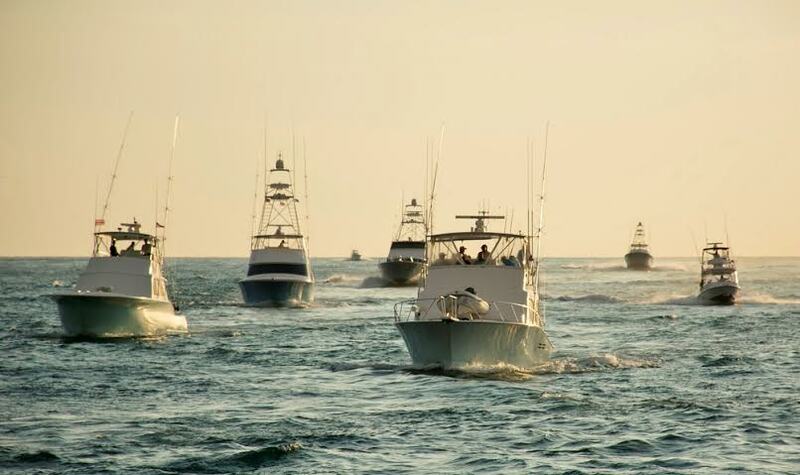 Fishing Los Sueños, with its Pacific saltwater charter fleet of international-class tournament captains, is today the number one Costa Rica fishing destination. The Los Sueños complex on Herradura Bay is situated on the Central Pacific coast, just a 75-minute drive from San José. It includes the full-service charter and private marina, known to everyone who wants to fish Costa Rica. There is the four-star Los Sueños Marriott Hotel. Before Los Sueños made its name globally as a Costa Rican sport fishing destination and residential paradise, Herradura was a sleepy little local fishing village. Jacó, 10 minutes south of Los Sueños, was a surfers’ and backpackers’ beach town. Now Herradura is booming with a 18-hole championship La Iguana golf course. Another feature is the series of upscale condos and luxury, million-dollar private residences and ocean view vacation villas.. Jacó has become one of Costa Rica’s most popular tourist destinations. It teems with hotels, bars, restaurants, boutiques and a sizzling night life. 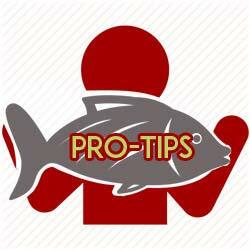 Los Sueños and the entire Central Pacific coast is often called the world’s number one Billfishery. The Billfish, Sailfish, and Blue, Black and Striped Marlin – bite between January and April. The world’s top international illfish tournament, the Los Sueños Signature Triple Crown, is held in three, three-day stages every January-April. 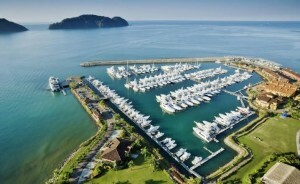 The Costa Rican sport fishing charter boats at Los Sueños Marina and nearby Herradura Bay range in size from 26 to 58ft. 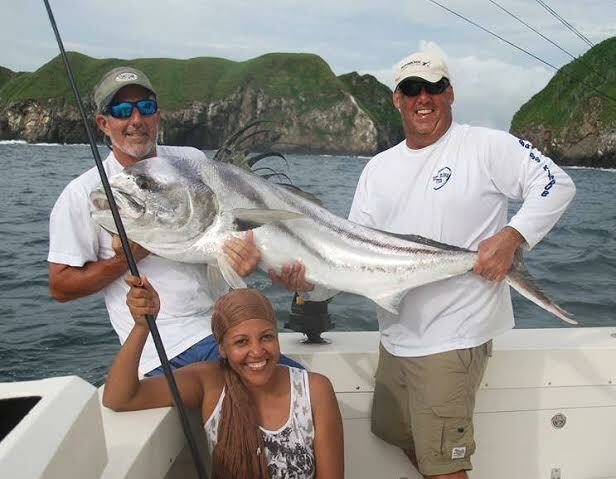 One of the most popular destinations for fishing Los Sueños charters is the Ventiseis. This is a sea hump 26km (18 miles) off the coast that comes to 80 meters (270ft) of the ocean surface. The Ventiseis is a magnet for all species, offshore and inshore. 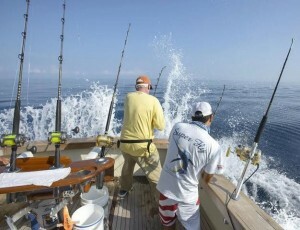 The Los Sueños peak offshore billfish season between January and April is incredible. 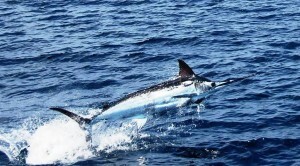 However, anglers who fish Costa Rica will catch Sailfish, Blue Marlin, Black Marlin and Striped Marlin all year long. Boats fishing Los Sueños can catch Yellowfin offshore 365 days a year; the best time is between June/July and September. Dorado (Mahi-Mahi) are most plentiful between July and September also, when the rain-swollen rivers spew reeds, grass and logs into the area river mouths. Be sure to throw the big Snapper and Grouper females back, even if they are a tasty fish! This will help replenish the Los Sueños fishing stock for years to come.